Dining, Lodging, Shopping, Recreation & Culture, Places of Worship, Fraternal Organization and Historical information for the visitor. Read about Mercer county ghost stories, Stoneboro ice houses, the Greenville ice rink, the ice harvest in downtown Greenville, and so much more! Whether for a family vacation, guys' golf weekend, historical tour, girlfriends' getaway or group therapy, VisitMercerCountyPA is pleased to assist you with your travel plans. Our goal is to make your visit to Mercer County a memorable and wonderful experience. The Waugh House recreates life in Western Pennsylvania during the canal and railroad eras and highlights the growth of modern industry. 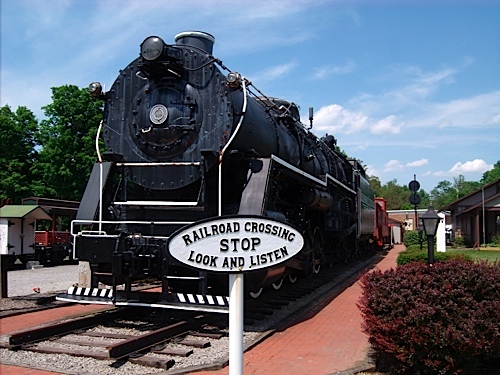 This park boasts the largest steam switch engine ever built, a coal tender, an ore arm and a caboose. The museum area houses railroad memorabilia, including a reconstruction of a stationmaster's quarters and dispatcher's office. 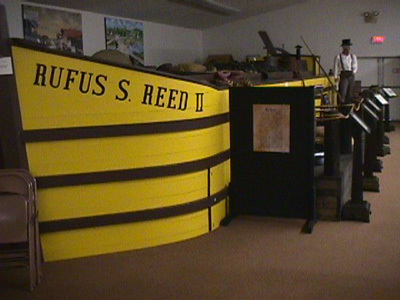 Inside the Canal Museum, visitors will find various artifacts and historical information from the Erie Canal era, including a replica of the Rufus S. Reed -- a typical canal boat.